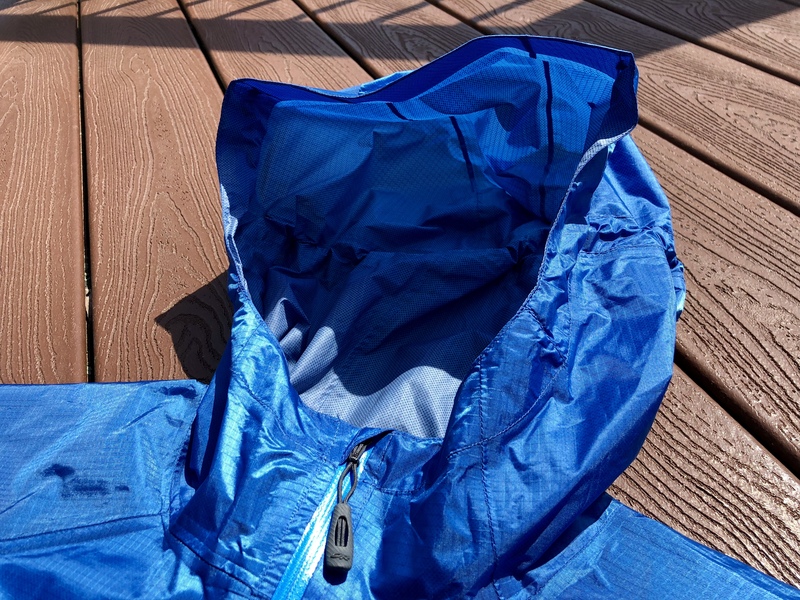 I had been considering a rain jacket in the Outdoor Research Helium family for a while and finally picked up the Helium II during the last Outdoor Research sale. We’ve had some rainy weather recently so I’ve had many occasions to give it a try. 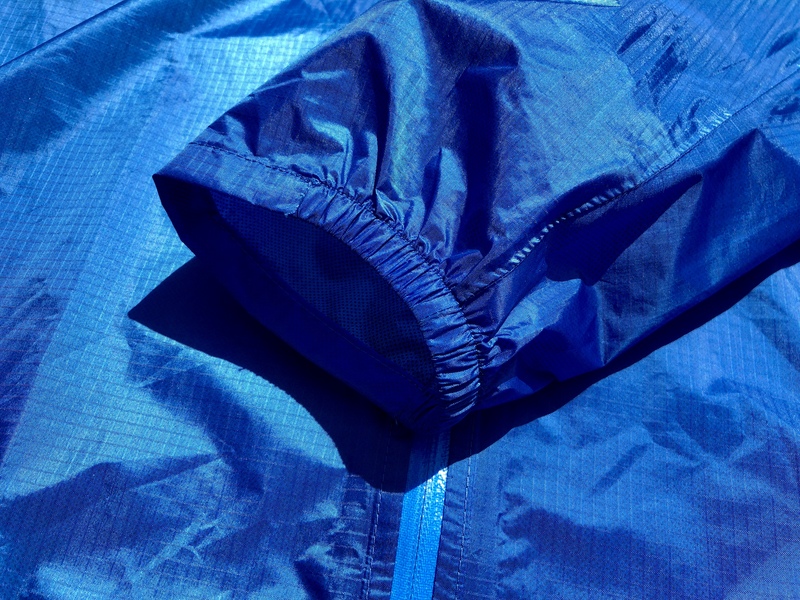 This jacket is made with a 2.5 layer Pertex Shield+. The 2.5 layer means the polyurethane membrane is bonded to the face fabric (30D ripstop nylon) and has a texture printed on the inside to help keep your body oils from clogging the membrane. The face fabric also has a DWR treatment to help keep it from wetting out (when wetted out, breathability is greatly reduced). The seams are all fully taped and the zippers coated (this does make the zippers a little hard to pull), so the jacket is 100% waterproof. I’ve had no issues with leakage and have found the jacket to be windproof as well. The lightweight nature and breathability make the jacket very comfortable to wear in any conditions. Since it cuts the wind, it can make a lighter mid- or base-layer feel much warmer than it would without a jacket that breaks the wind. 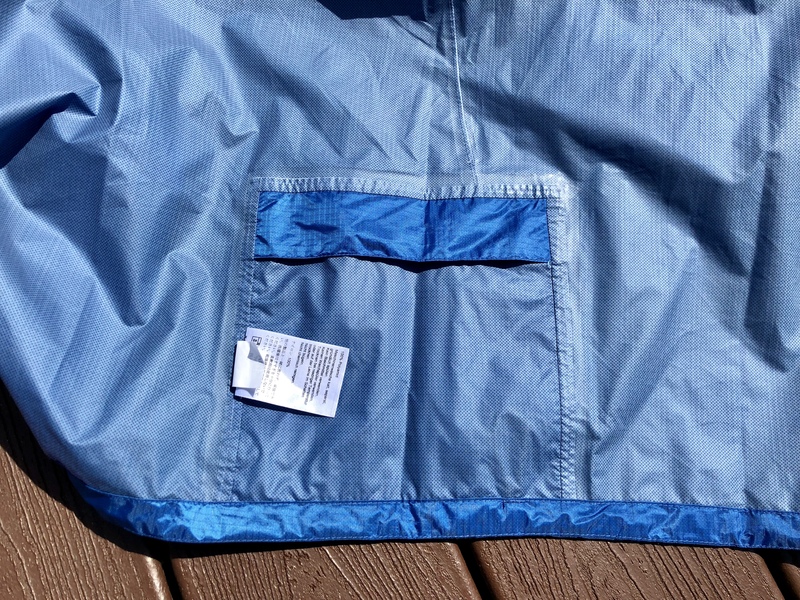 Since this is an ultralight jacket there are some common features that are missing. The jacket does have a chest pocket to keep your phone or some documents dry, but it does not have any hand pockets. The cuffs are only secured with elastic around half the length of the cuff rather than the usual velcro adjustment. 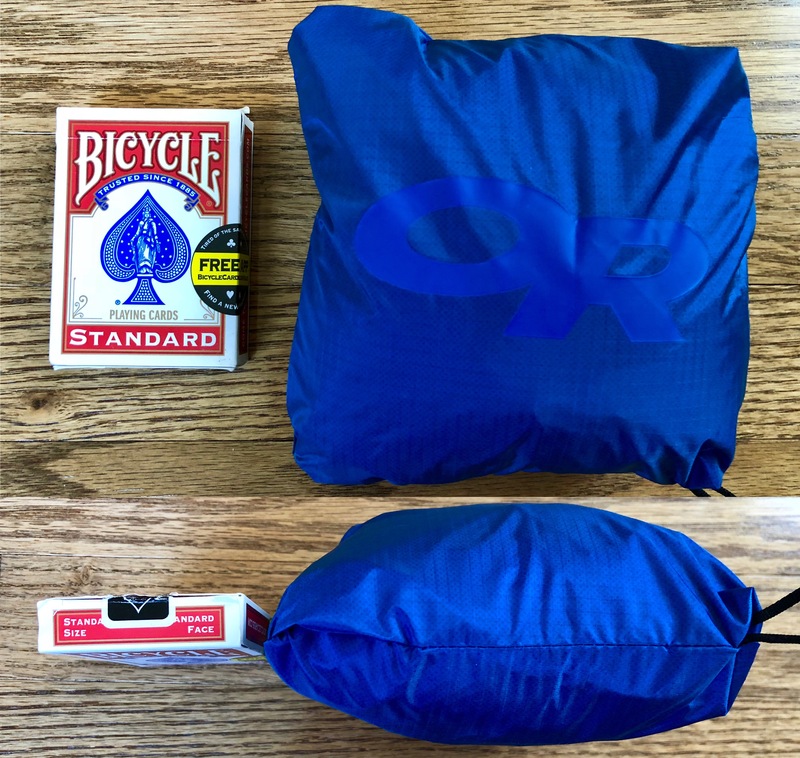 I don’t find either to be a deal breaker since they help keep the jacket packable, but if you do, the Helium HD adds both in addition to pit zips. The hood is my favorite part of this jacket. I’ve never liked when hoods block your peripheral vision but never found a jacket that solves that problem while still having the hood work effectively. This jacket finally solves that problem for me. The hood shape allows for an unobstructed field of view. The wide brim contains a semi-rigid plastic piece to keep the rain off your face. While these can get deformed in a packable jacket, I’ve found it easy to stuff the jacket so the brim can curve around the jacket to prevent creases. Also, a nice touch is the single adjustment toggle on the back of the hood. I found it to give a great level of fit adjustment without being complicated. 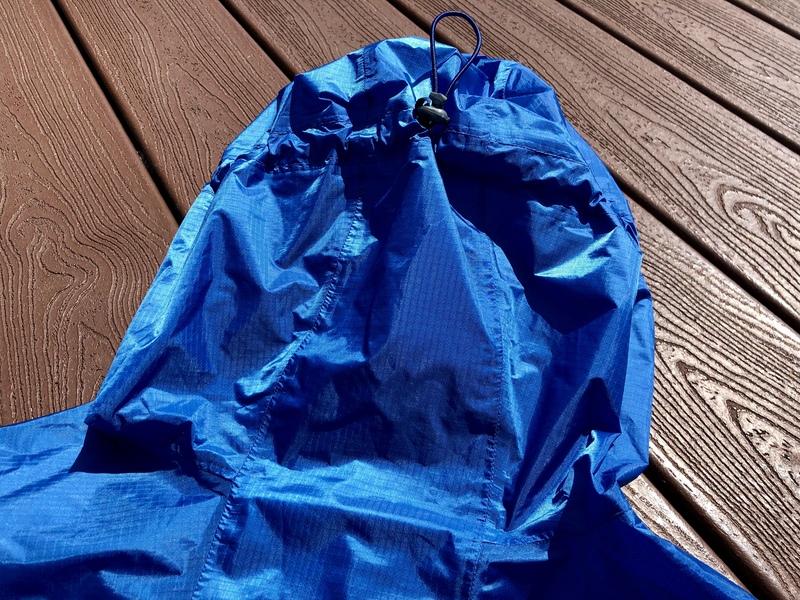 This jacket easily packs into the compact internal pocket. This comes in handy when packing as it allows you to throw it into your bag without much thought. That’s something you’ll never do with an umbrella, so this jacket makes it easy to always have some rain protection handy. I really like this rain jacket. The hood is the killer feature for me and the jacket performs very well in both wind and rain. 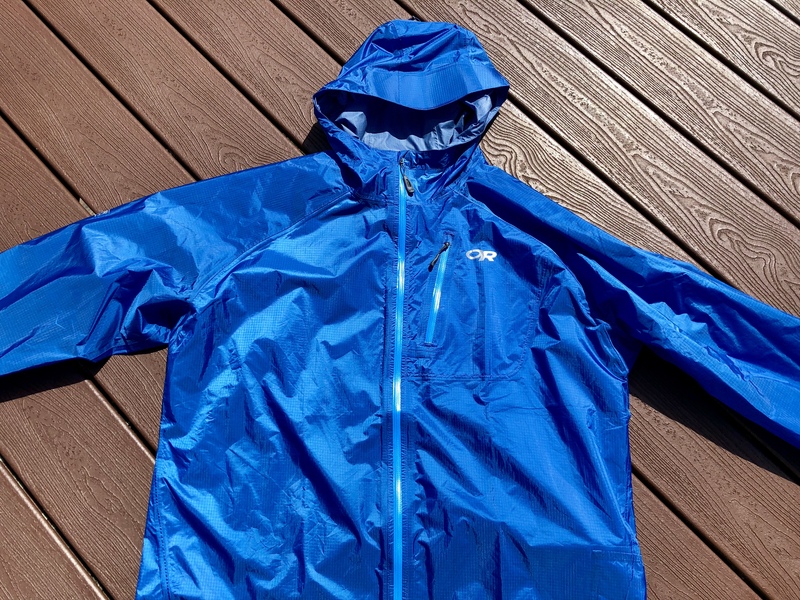 Especially when purchased on sale, this jacket performs well above its price point.